Do you want to take your cooking game beyond the microwave and the can opener? You're going to need certain skills. And to help you figure out which ones, there are lists. Lots and lots of lists. This is one of them. It is not, however, as many such lists are, a list of skills that every so-called "foodie" ought to have, many of which, truth be told, hardly anyone actually needs. Surely not everyone on earth needs to be able to make homemade mayonnaise, or poach an egg, or even carve a turkey. Indeed some tasks, like making your own demi-glace, or puff pastry dough, are so time-consuming and unnecessary that you're better off not knowing how, lest you somehow be tempted to try. This should be the first cooking skill every person learns. They should literally teach it in kindergarten. Not only is beating an egg the basis and the starting point of so many recipes, but mastering the second part of the operation—actually cooking the eggs—ensures that you're never more than five minutes away from your next meal. Especially if you can also operate a toaster. 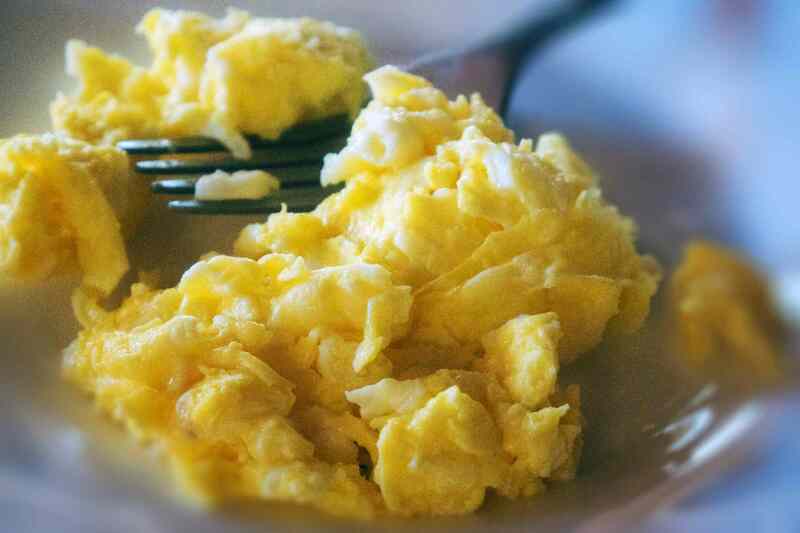 It's true that if you can make scrambled eggs, you can also make an omelet. But more importantly, you should make an omelet. Why let that skill go to waste? An omelet means turning your homey dinner of scrambled eggs and toast into something special. Perhaps even worthy of serving with the fancy cloth napkins versus half a paper towel. And rounding out our trifecta of breakfast foods you can also serve for dinner, we give you pancakes! Is it a coincidence that the first step in making pancakes happens to be beating an egg? We think not. With the number of variations and sub-variations (to say nothing of toppings) bordering on the infinite, learning to make pancakes means never having to have the same meal twice. Who says cooking means getting things hot? Well yes, technically it does mean that. Still, even though making a green salad does not involve heating anything up, it absolutely does involve taking ingredients and doing something to them to turn them into a meal—even if that something is merely washing, peeling, slicing, chopping, and then tossing them together in some sort of dressing. And speaking of dressing, you can make your own if you want to take it even further. Or just drizzle your salad with some olive oil and vinegar. Meat-lovers rejoice! Your time on the list has arrived. And if we're talking basic cooking skills, what meat is more basic than a hamburger? Of course basic doesn't have to mean mediocre, and there's no reason it should. Since the average American eats a burger a week, it just makes sense to master the art of making them. After all, if you're having something 50 times a year, it might as well be good. The same reasoning applies to steaks as it does to burgers, with the added incentive of, steaks are expensive. Good ones, anyway. And if you're going to spend a lot of money on a piece of meat, you'd hate to ruin it by overcooking it, not letting it rest or otherwise abusing it. And by the way, grilling a steak doesn't have to mean outside. Check out this guide to the best ways to cook a steak indoors. If a grilled steak is the ultimate cookout food, a roasted a chicken is the ultimate family dinner. Featuring both dark meat and white, combining fall-off-the-bone tenderness with salty, crispy skin, a roasted chicken doesn't just delight your palate and fill your belly, it satisfies all your senses. Not to mention, it makes your house smell amazing. And since it only takes 90 minutes, you can easily enjoy it once a week. Even more so than roasting a chicken, which needs to be trussed even if nothing else, a roasted rib of beef or pork loin is the ultimate in "cooking while not really doing anything." The beauty of roasting meats is that you really don't even need to use a timer. Just insert a digital probe thermometer and set it to alert you when the center of the meat reaches its target temperature and voilà—it's done! Just don't forget to let it rest before slicing. And now that you've roasted your roast or your chicken, will you (a) serve it just as it is, lonesome and unadorned, or (b) accompanied by a rich, savory pan sauce that you will whip up in five minutes using the juices at the bottom of the roasting pan? Keep in mind that these juices are going to emerge anyway and you might as well put them to use. Furthermore, you are going to have to wait several minutes for your roast to rest before slicing and serving it anyway. Which means (b) is clearly the correct choice. 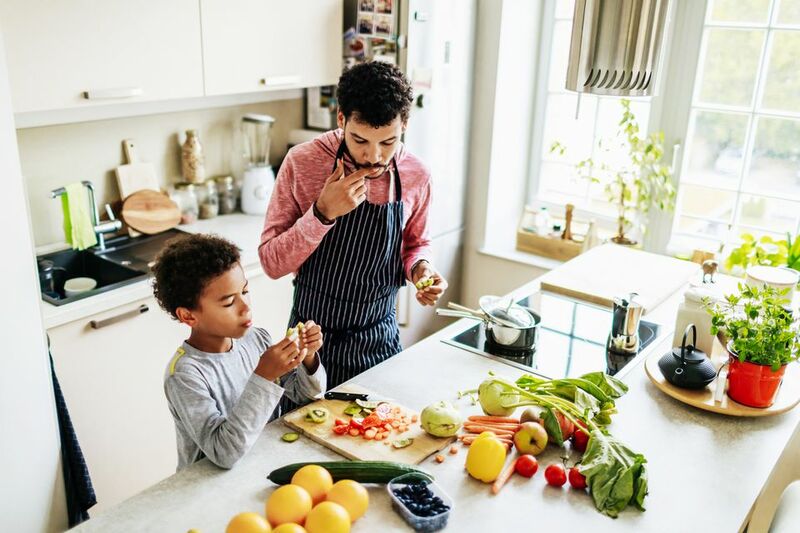 Whether you end up chopping many onions over the course of your kitchen adventures or just a few, you will undoubtedly benefit from knowing how to do it the right way, if for no other reason than it may save you a trip to the emergency room. Thus in addition to being able to effortlessly produce neat little piles of perfectly chopped onion, you'll also free up all those ER nurses and docs to take care of more serious cases. Way to pay it forward. Forget steamed (i.e. limp, wilted) vegetables, or sautéed vegetables, which most home cooks inadvertently turn into steamed vegetables anyway because they don't get their pans hot enough. And we're fairly sure boiled vegetables have gone the way of the Studebaker and wide lapels. Which leaves roasting as the one-and-only method of vegetable cookery that everyone ought to know. Not only does it cook your veggies, they come out tender yet crisp, with a lovely, caramelized, golden-brown exterior that you can't achieve any other way. Even better, there's not a vegetable in the world you can't roast. Did you ever try sautéeing a turnip? Some people definitely need to know how to bake cakes, pies, pastries and breads. They're called bakers, and they work in bakeries, magical places where you can obtain all manner of sweet, glazed, buttery confectionery in exchange for money. You, on the other hand, do not need to know how to make such things. What you do need to know, though, is how to make cookies. Whether it's a batch of homemade chocolate chip cookies as an after-school snack or a tray of sugar cookies for the holiday office party, being able to bake cookies will make you popular with your children, friends and neighbors.